When you're Mexican, you know that all the relajo happens near the food. Relajo is a word that has been present in my life since day 1 because I have a very loud Mexican family that likes to celebrate everything. 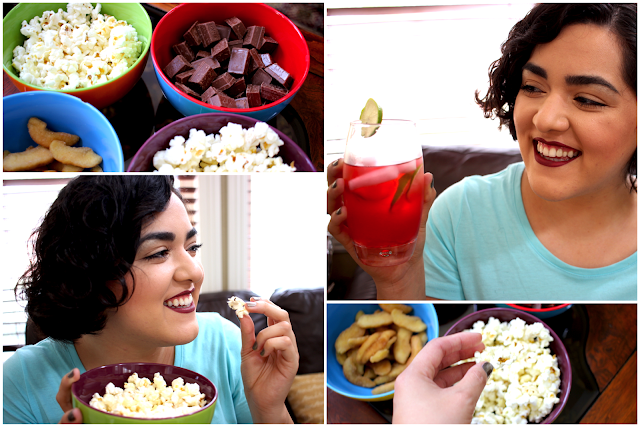 At this pijamada we're going to have the snacks be little more healthy than the ones you had as a child, but they're still very fun to eat. Instead of opting for a huge bowl of chips, I went for 100 calorie guilt-free popcorn that has the same buttery taste as the kind that you get in the movie theaters. And just in case you have a sweet tooth during Los Premios Juventud, I got healthy cinnamon covered apples and the extremely adorable bite-sized Kit Kats bars. I do have to be completely honest and tell you that I always get empalagada within minutes of eating milk chocolate. I don't like washing down the all the sweetness with sugary drinks, which is why I personally prefer a refreshing iced tea instead. And for my Mexicans out there, the tea I'm drinking has jamaica (hibiscus)! As a bilingual beauty blogger, there's a few words that stump me whenever I'm translating picture captions and the word ahorita is definitely one of them. There's a few ways to interpret this word from "right now" to "at this very second," but there isn't a single word in the English language that serves as a direct translation. In between the commercial breaks, I like focusing on my skincare because I have to take care of my skin ahorita in order to avoid premature wrinkles and clogged pores. No pijamada is complete without a face mask but before we do that, we must take all the makeup off. As you may know, I've been enjoying a lot of natural skincare lately and Target has an incredible selection. The cleansing wipes and face mask are not only going to help treat your skin ahorita, but they're also extremely quick and easy to use! My favorite activity at any pijamada has always been the manicures, and now we can achieve salon-worthy nails while watching Los Premios Juventud. 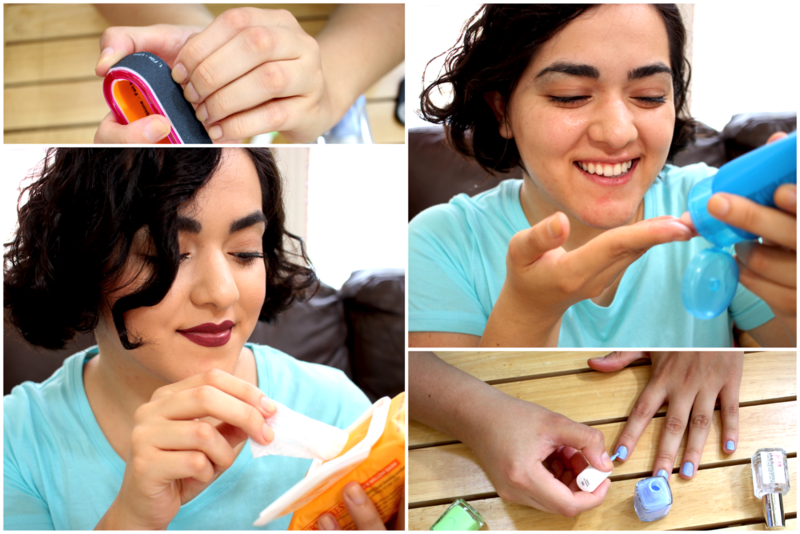 Essie is one of the many brands available Target that will give you a quick gel-like manicure ahorita. We can easily say hasta la vista to the days of curing your nails under an UV light to achieve a long-lasting and shiny manicure. A good sign that you had a lot of fun at a pijamada is if you stayed up all night talking to your friends. There's no better time to talk about your crushes than at 3:00am, am I right ladies? 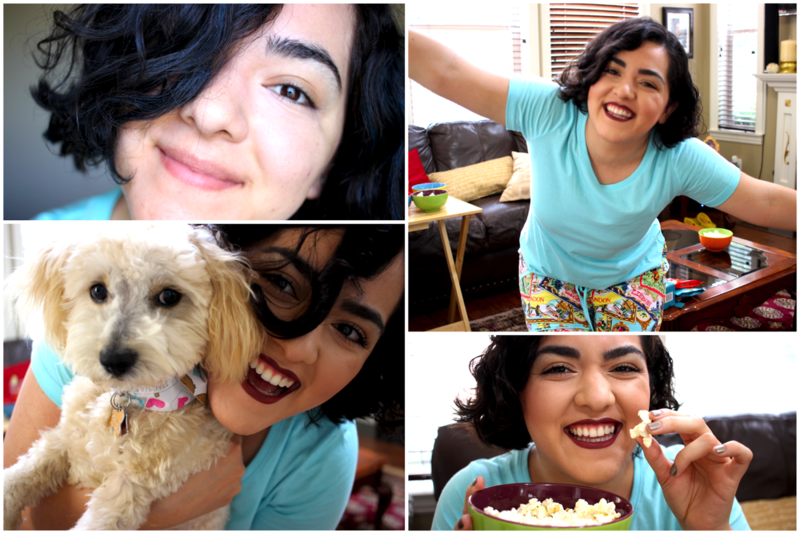 I'm constantly desvelada thanks to my regular late-night blogging sessions, and it also tends to happen very often when I'm in good company. Unfortunately for me I always wake up with puffy and dark under eyes whenever I get desvelada. 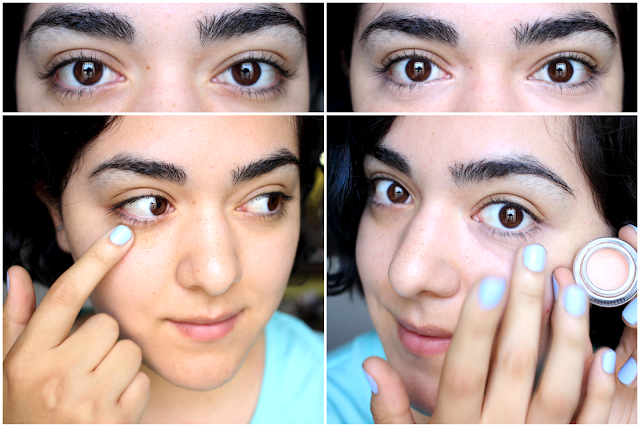 You might not want to prevent getting desvelada at a pijamada because you might miss out on the fun, but you can always hide the signs with a dab of cooling gel and a peach colored corrector. These two simple steps will make you look like you got all 8 hours of sleep! And never forget that the two most important things at any pijamada which are your pajamas and a wide smile. Cute dogs and bright colored hair are completely optional, but they'll definitely add to the relajo. I would like to thank Target for this incredible opportunity and the wonderful #SinTraducción campaign. It's always great to see companies that you genuinely love reach out to Latinos in this way. Also, don't forget to check out the #SinTraducción Guest Program to contribute in the awesome community of Latino content creators! Now, it's your turn to contribute to this blog post! What are some untranslatable words you know? They don't have to be in Spanish, I'm just curious to find out some more of these words. I would share some in French but this blog post is already long enough. 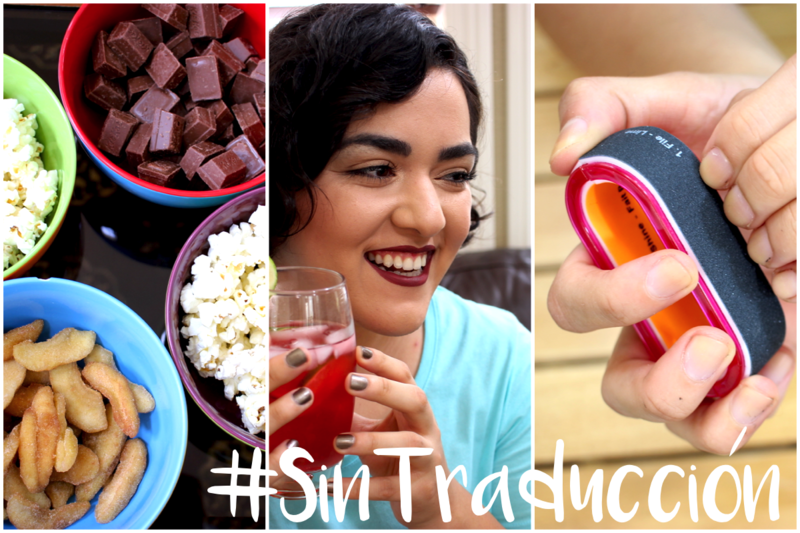 Disclaimer: This is a #TargetSponsored blog post which is part of their #SinTraducción campaign. The blog post story and items featured were chosen by myself. Everything was written by myself as well.